Fergus Sweeney has been a familiar face to punters for quite a few years in Britain, having ridden his first winner here in 1995. 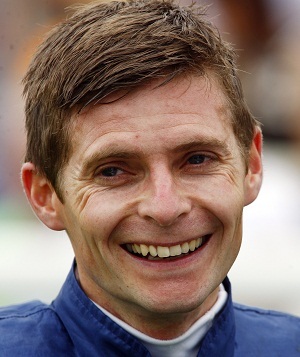 In subsequent seasons, he has ridden more than twenty winners each season and is currently on course to better his personal best of 64 winners in a season. In the last couple of seasons he has formed a formidable alliance with Henry Candy, for whom he rode a first Group 1 winner on Twilight Son in September 2015. He also gets a lot of rides from Newmarket trainer Martyn Meade and has struck up a fine partnership with his filly Irish Rookie, who finished third in the Kingdom Of Bahrain Sun Chariot Stakes at Newmarket the following month.